This AirBnB is an ideal location for bridal preparations. Lot's of natural light, classic minimal decor and multiple rooms to hide clutter. The space is lovely for the bride and all her bridesmaids to get ready and not be overcrowded. The Farmhouse is also in a great location in Barrie, Ontario with close proximity to the ceremony location at Southshore Community Centre and the reception venue at MacLaren Art Centre. 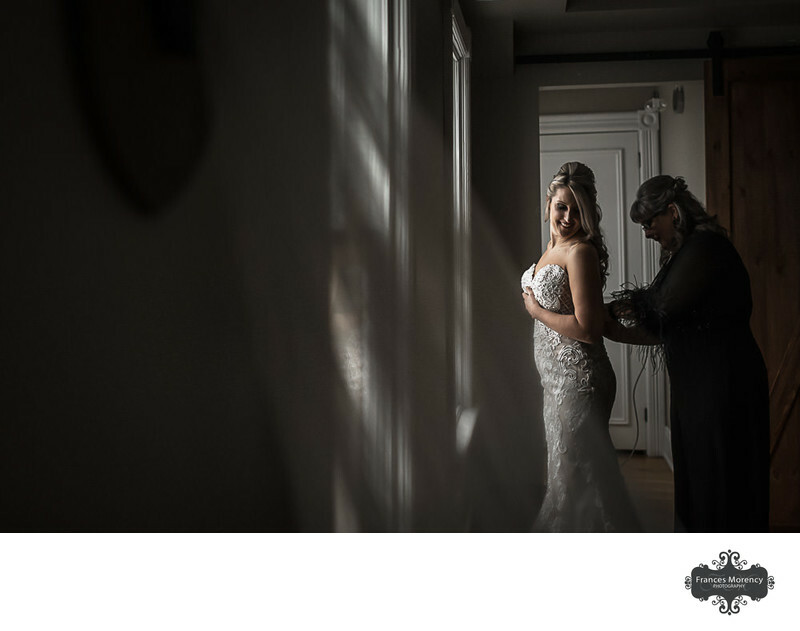 I photograph bridal preparations by putting my bride in the best light and then just letting the moments happen. During this time of day is when I also try to take 5 minutes for a bridal portrait. This is the only time I ask for a few minutes alone with my bride. A full wall of windows in this space was the ideal location for my bride to get dressed. I'll ask my brides to stand in the best light then naturally the person that will be helping them get into their gown will automatically show up to help. I will just stand back and capture all the moments at this time without interruption. 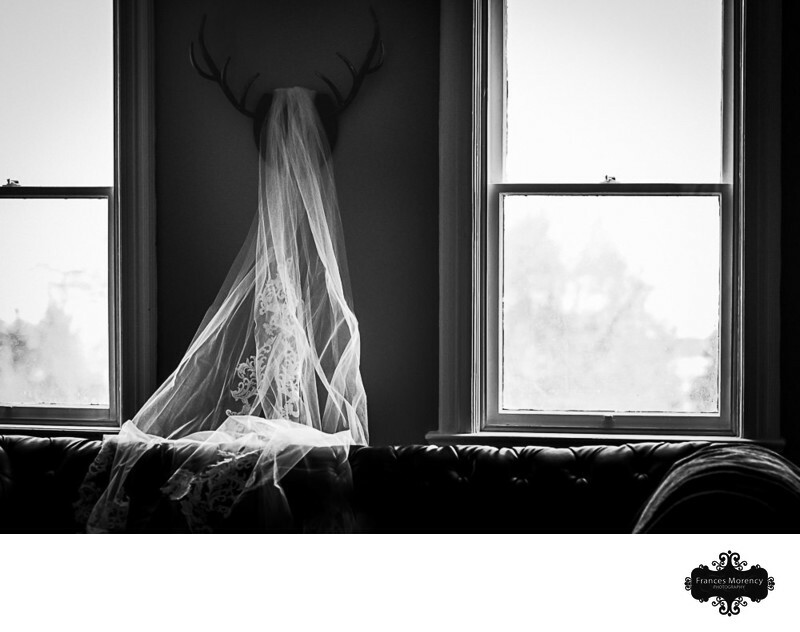 In this image, I used the veil in the foreground to frame my subjects and hide some of the clutter on the floor. Location: The Farmhouse Restaurant 268 Bradford St, Barrie, ON L4N 3B7. Keywords: airBNB (3), Barrie (51), farmhouse (6), Southshore (18), veil (21). 1/4000; f/3.5; ISO 6400; 35.0 mm.